This is a simple and quick project. We keep ours in the freezer and they are always ready for the large amount of boo-boos in our house. They always seem to make the kids feel better. You can use scraps of material, since you don't need too much. For this pack, I used an old t-shirt. You can make them any size you would like. Total Time: About 15 minutes. 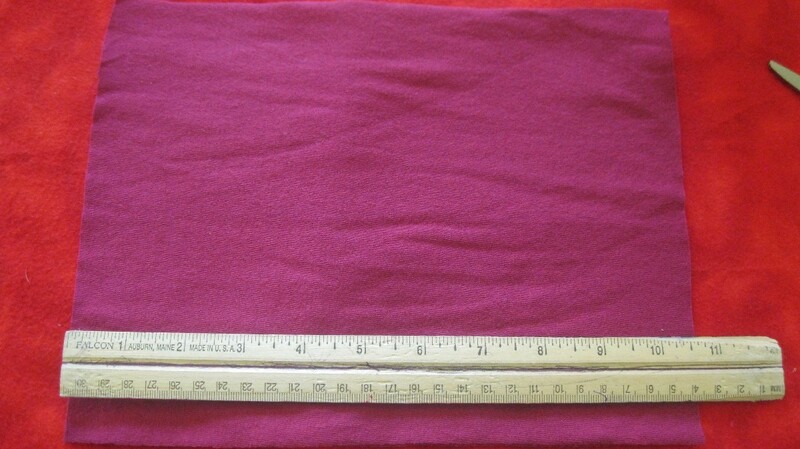 Cut 2 pieces of fabric the same size. 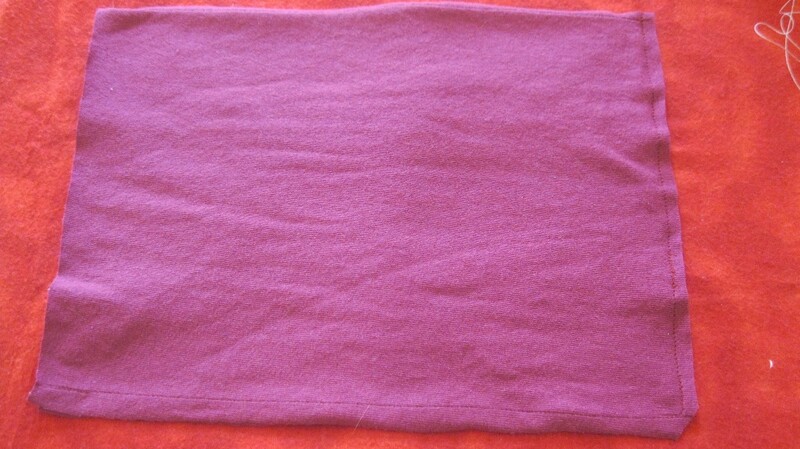 I just fold over the fabric, so that there are 2 pieces on top of each other. This one was 10 1/2 inches by 8 inches. They can be as big or small as you want. 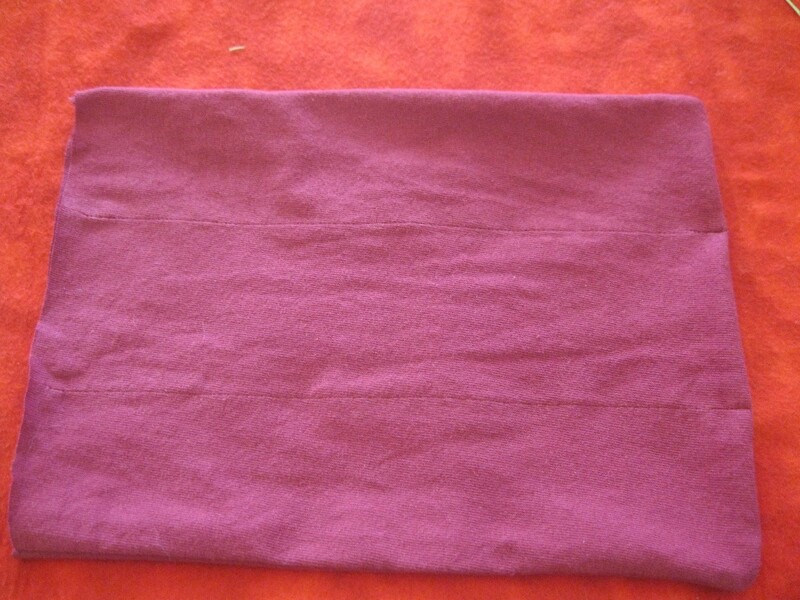 Make sure that the side of the fabric you want to see is facing the inside. 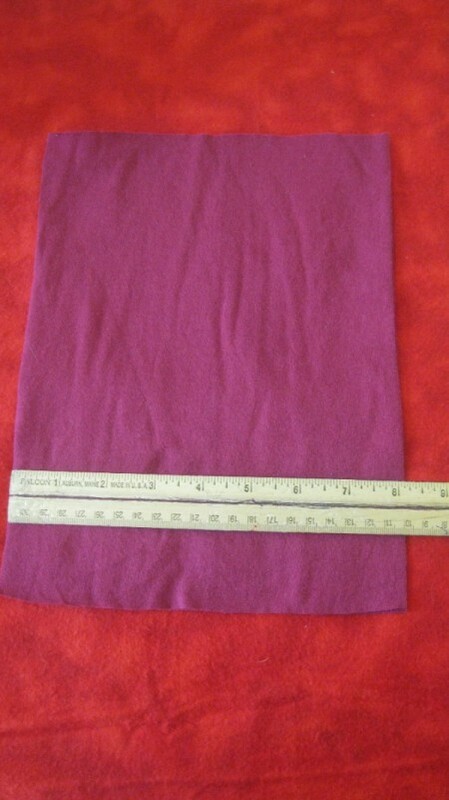 You are going to sew around the fabric, then turn it inside out. 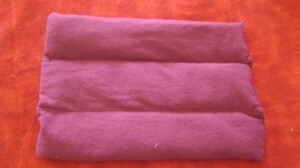 Sew only 3 sides. Turn inside out. Make sure you push against the inside of the corners with your finger so that it's not bunched up. 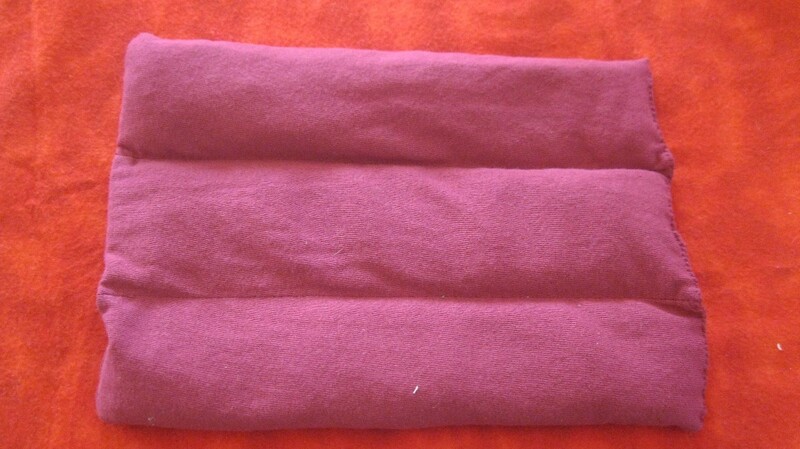 Measure where you would like to sew the dividers. The rice stays better evenly distributed this way. 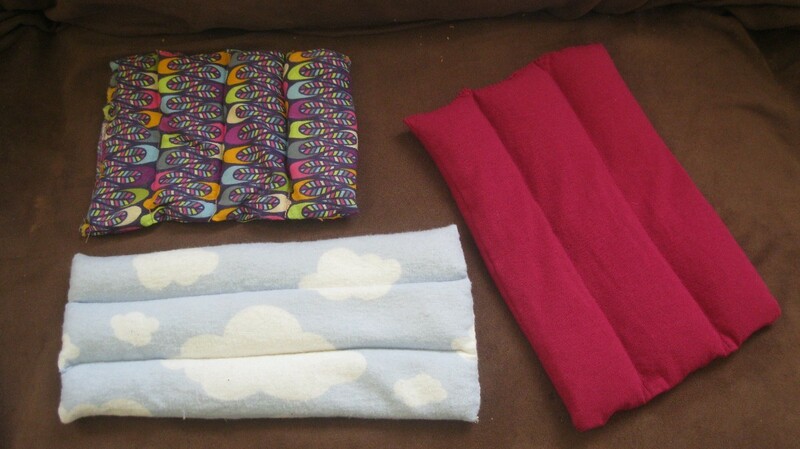 I just made 2 dividers, for a total of 3 sections. Try to make it as even as you can, but it doesn't need to be perfect. Sew straight lines for the dividers. 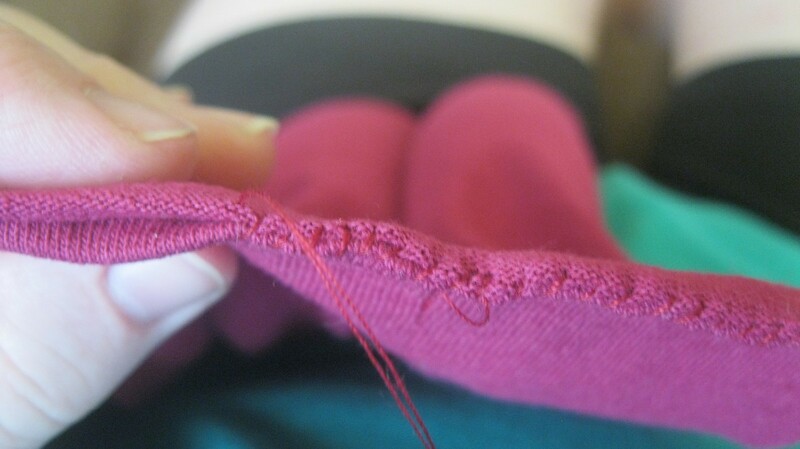 Leave about a centimeter not sewn at the ends, where you will close it up. 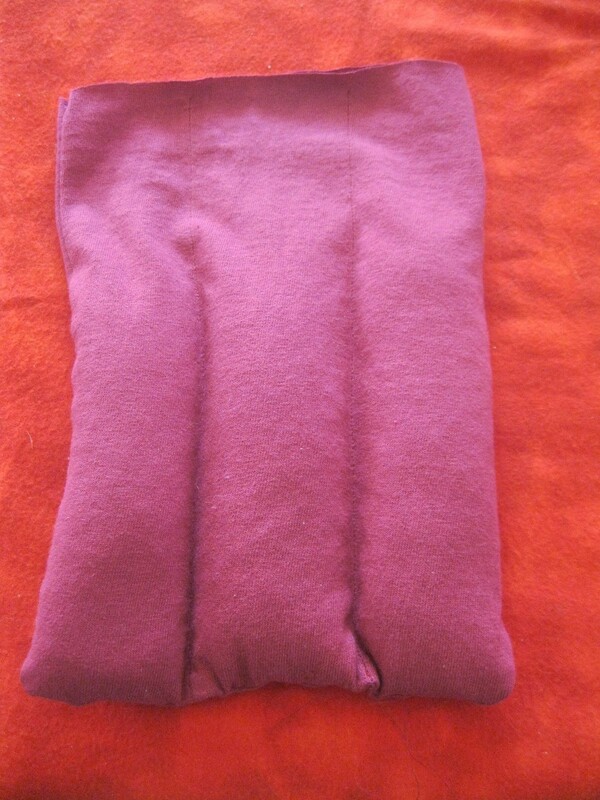 This is so that you can fold it in and hand sew it closed. My thread really matched this fabric well. If you look closely, you can see the 3 different sections. 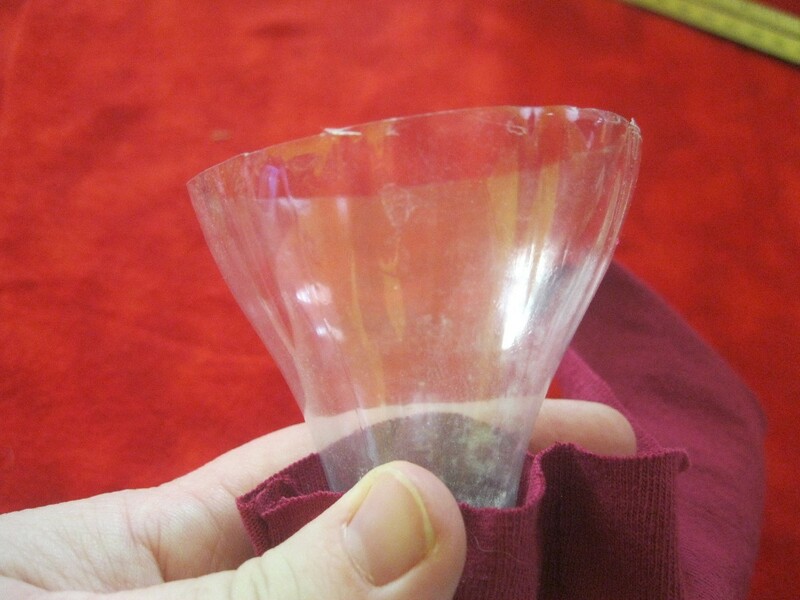 Take your funnel and fill each section with rice. My funnel is too small and the rice bunches up in there. 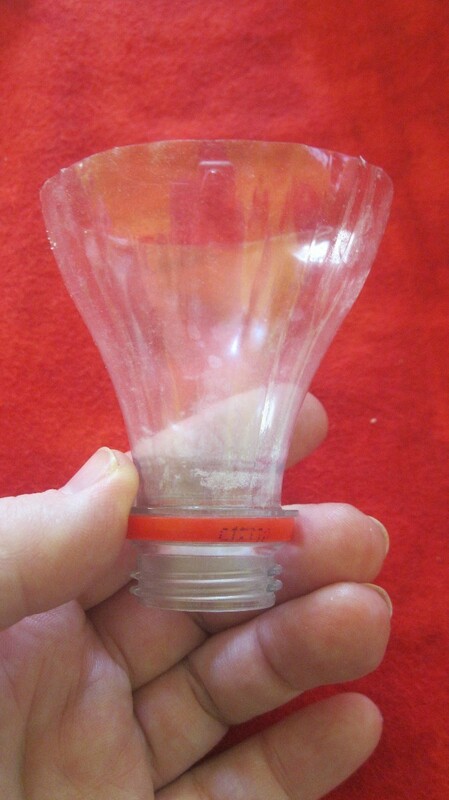 So, I cut the end off a soda bottle and use that as my funnel. Fill each section about 3/4 of the way. Fold over the ends, into the inside. 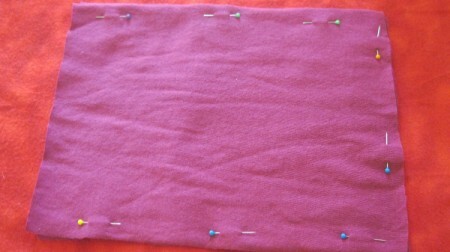 Hand stitch the ends to seal the ice pack. Make the stitches close enough that rice won't leak out. Put in the freezer, so it will be ready when needed. Your filler idea is a great one. I use barley and cinnamon, too. I have an old sock set in my house. One is always in the freezer and one in the kitchen drawer for the microwave.